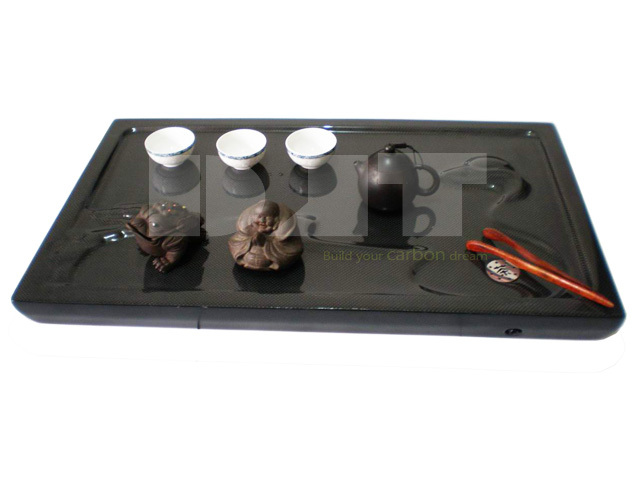 Tea is considered one of the seven necessities of Chinese life, the expanding application of carbon fiber in living supplies makes this amazing carbon fiber tea set. Tea is considered one of the seven necessities of Chinese life, along with firewood, rice, oil, salt, soy sauce and vinegar. A clay animal or two. They are used for display and luck by many Chinese drinkers. Tea sets vary greatly in quality and price, from inexpensive to high-end. When it refers to quality high end products, clients will be very picky, and cabon fiber is undoubtly a nobel choice for them. DJT CARBON is committed to expanding applications of carbon fiber,this is the carbon fiber tea set we made, it looks amazing, the consumers are very happy to see the quality like this. Please feel free to email to info@djtcarbon.com for any carbon fiber request.